A paralegal shall maintain the highest standards of professional and ethical conduct. A paralegal shall participate in continuing education in order to ensure the highest degree of professional competence. A paralegal shall always disclose his/her status as a non-lawyer. A paralegal shall not establish an attorney-client relationship, set fees, sign documents which require an attorney’s signature, or appear in court on behalf of a client, unless authorized by law. A paralegal shall preserve and protect the confidences, secrets, and information written or oral of a potential, current or prior client and/or attorney which have been disclosed to the paralegal. A paralegal shall preserve and protect as privileged all communications of the attorney and the client which have been disclosed to the paralegal. 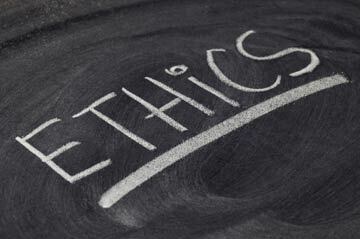 A paralegal shall avoid conflicts of interest and immediately disclose in writing any potential conflicts. A paralegal shall exercise great care and professional judgment in determining the extent to which a client may be assisted without requiring the presence of a licensed attorney.